I had posted this picture in March and had decided to post it again. Tonight May 5th, the biggest full moon of the year will occur. Say a prayer for your brethern while you enjoy God's creation and take some pictures while you are at it. I love this picture and the verse! How powerful! 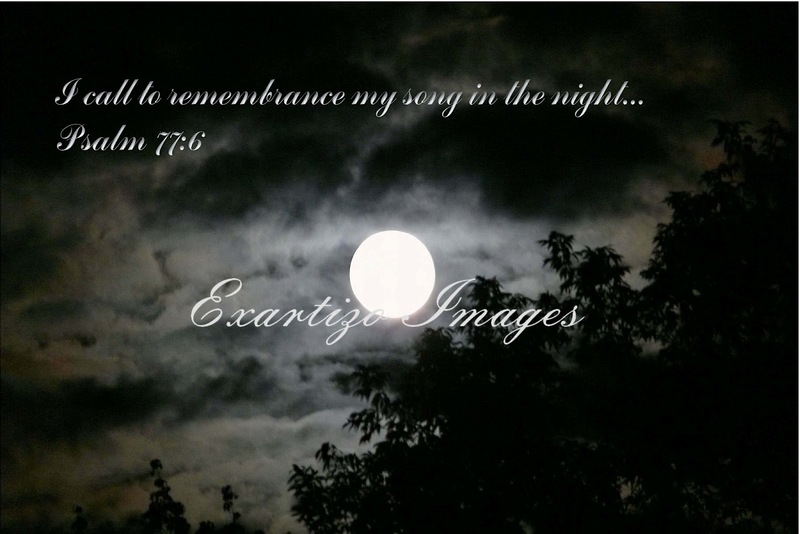 I am sure there is not a man or woman on this earth that has not felt the way the psalmist felt when he wrote Psalm 77. He wondered if his lot was to be that of Israel. Will the Lord cast off forever and be favorable no more? Then he recalled the Lord's deeds and remembered His wonders that He performed for his fathers of old. and remembered how God does deliver. He does not forget His own. YOUR SONG IN THE NIGHT!